Photos provided by CHC Mechanical Contractors. COOKEVILLE – When Garry Floeter took the reins as president and general manager of CHC Mechanical Contractors in 1973, he likely had no idea his company would be working on a high-tech golf driving range in Nashville some 45 years later. While Floeter may not have envisioned the magnitude of success to come over the years, he undoubtedly knew that a strong reputation in the industry, along with a dedicated and professional team of employees, are the keys to making good things happen. CHC Mechanical, now celebrating 50 years in business, has been providing mechanical construction, plumbing and related support services for commercial, industrial and institutional projects in the region since 1969. Following years of successful projects in the region, Floeter received a call in 2015 from ARCO/Murray, a design-build construction firm, regarding a unique opportunity. That project? Constructing a new high-tech driving range slated for the area unlike anything the state had seen before. 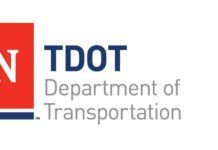 Floeter initially shrugged it off, pointing out that a civil engineering firm would be better suited for the job instead of a mechanical contractor. 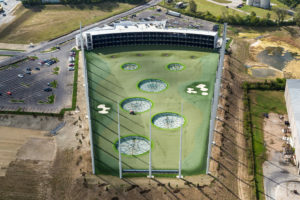 Unlike a typical driving range, the plans for this particular driving range showed a multi-level facility, complete with kitchens, entertainment and performance space – what is now known as Topgolf. The project’s mechanical contract alone was in the range of $1.5 million. Topgolf, which operates more than 40 facilities in the US and the UK, is a unique, multi-level driving range consisting of more than 100 climate-controlled hitting bays. There, guests can play a variety of skill games; challenging one’s accuracy and teamwork. The Nashville location also features a two-floor, indoor concert and event center that can hold 600 guests, a full-service restaurant and bars, private event spaces and meeting rooms, a rooftop terrace, and a VIP deck with private balcony and bar. Construction of the Nashville facility presented a unique project complete with its fair share of challenges; beginning with a complex set of project drawings. In addition to adhering to the rigid schedule, the CHC Mechanical team also had to roll with a series of owner-requested changes in order to provide the sanitary plumbing, the domestic water, space heating and air conditioning, and gas piping for the radiant gas heaters. As the owner and the general contractor realized that changes needed to be made, the CHC team was ready to adapt to implement the newest project plans. Tight deadlines, multiple changes and less-than-ideal weather conditions meant the CHC Mechanical team had to be not only flexible but focused; able to adapt quickly and efficiently. The general contractor was so impressed with the work, they asked CHC to work on additional Topgolf construction projects across the country. While the company is licensed to work in the majority of the states in the southeastern US, CHC Mechanical typically stays within a 100-mile radius of Cookeville. Floeter prefers to keep his team local; allowing workers the opportunity to work close to home. 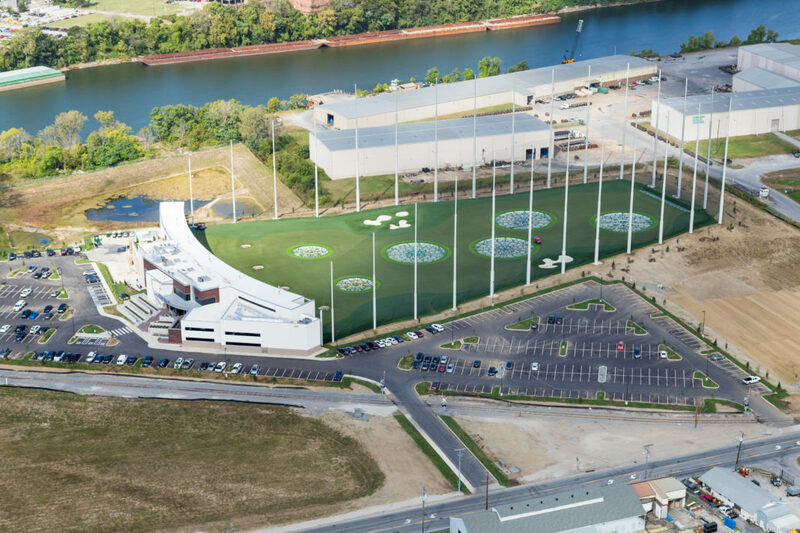 While it’s unlikely CHC Mechanical will be going out of state with Topgolf and its developers any time soon, they are hopeful to work with the golf entertainment company on its next Tennessee-based project. Topgolf is reportedly eyeing Knoxville for its next Tennessee location. Working with the brand also helped open a few more doors to CHC Mechanical. The team is currently working on another project in Germantown around the corner from Topgolf. When speaking of the trade that’s dominated his career experience, Floeter says mechanical contracting is a trade that is always in demand. For more information about CHC Mechanical Contractors or the services they offer, call (931) 528-5514 or visit www.chccompanies.com.